To be competent at anything in life, including the ever popular Craps, one must first gain knowledge about it. And the best way to do that is to read a book on the subject, either a paperback or an e-book. The game of Craps has some very interesting books written on it. Those who are new to the game will find the titles extremely helpful. The books will also help the more advanced players, giving them a more comprehensive understanding of the game. The title says it all. The book provides a detailed guide on strategies that will help players win big at the game table. Larry Edel has listed tips and techniques that will help everyone, right from a novice to an expert. One of the best books on Craps when it comes to devising clever strategies that work. Beginners will find this book to be the best starting guide. They will learn all the basic rules of the game, including some of the complicated bets and odds that are a bit difficult to understand. The 13 chapters are an easy read and include tips on how to choose the best bets where the house has no edge. Who doesn’t want to be a winner? This book by Avery Cardoza is one of the most comprehensive guides on the game of Craps, ensuring that anyone who reads it will win. There are multiple examples provided, and a host of strategies that is essential knowledge. The book is recommended for amateurs and experts. The updated version focuses only on one thing: conducting lightning-quick raids on the table before the house realises what hit them. The book contains a complete collection of charts and strategies that will help beginners and intermediate players maximize their luck. John Gollehon draws attention to the art of timing your strategies to extract big cash rewards. Bottom line: manipulate the house when they are at the most vulnerable. 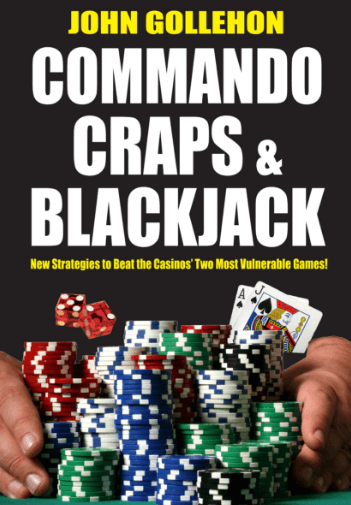 Considered by many to be one of the most important books on Craps that must be read by everyone and anyone attempting their luck at the table. It rose to popularity as an underground classic penned by one Craps player for the other players. A new version was released in 2011, bringing it back into public consciousness. 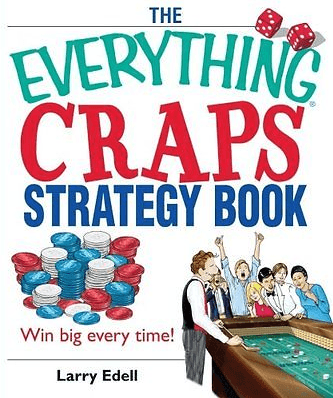 If there were ever a must read book on craps, this is it. The author himself is a renowned gambling enthusiast and has appeared on many TV shows. For advanced players looking to up their game, this book will reveal some of the top tips and secret strategies that has made John Patrick the personality that he is. What players will find extremely useful are the specific techniques that can be used to beat the house. We conclude the list with one of the defining books on the game. Where other books talk about strategies and techniques, this book takes the bull by its horns and addresses the most important factor of all – the dice. Frank Scoblete’s direct approach may sound easy, but can only be mastered with a certain amount of practice. It could not get any simpler: master the dice, master the game.